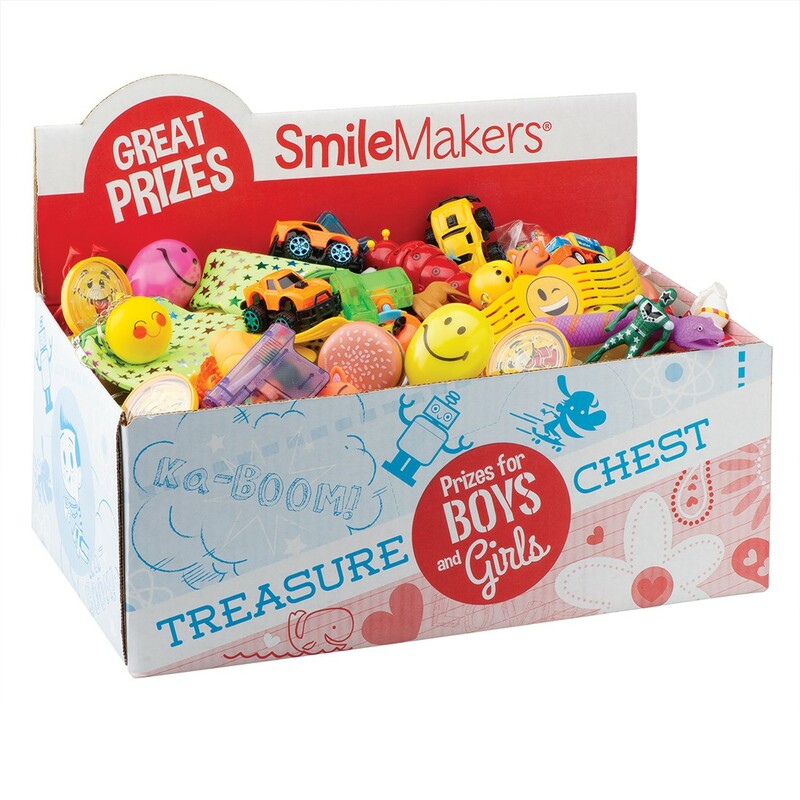 Keep boys and girls smiling with toys and prizes from a SmileMakers Girl/Boy Treasure Chest Prize Box! 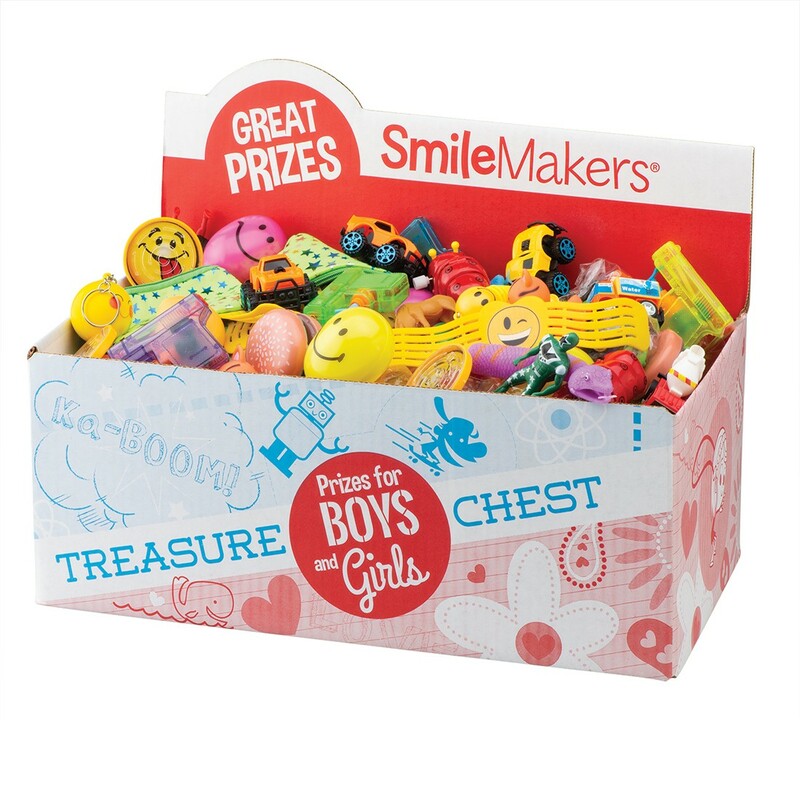 Each chest includes 190 various toys; half chosen with boys in mind and the other half chosen especially for girls. Perfect for rewarding students or patients! Product styles and colors may vary from photo.